The TARDIS lands in an alien jungle where the Doctor meets the Sevateem, a savage tribe that worships the ‘god’ Xoanon. 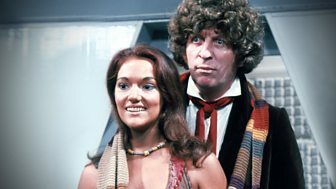 A girl called Leela, identifies the Doctor as ‘the evil one’. Find out more about The Face of Evil.